There are less than 3 weeks left in the legislative session – the flood of email action alerts will end soon! To everyone who has read our alerts, made phone calls, sent emails, or appeared at the Capitol alongside us, thank you for speaking up for local food and sustainable agriculture. Whatever bills pass or die this session, we are making an important long-term impact from having a presence at the Capitol and letting legislators know we are paying attention and engaged. Building power in politics can be done with lots of money — or it can be done with people and time. Thank you for helping to build the strength of our movement! Because the House is moving so slowly, the bad feedlot bill (HB 1643), still hasn’t been voted on even though it was scheduled for Saturday. Most of the legislative staffers favored the bill initially because it “protected businesses from drones invading their privacy and causing problems” – but once we explained the real issues, many of the staffers flipped their position. Now it’s up to the legislators to decide when the bill goes to the floor, either late tonight or tomorrow. The Senate Health & Human Services Committee will meet tomorrow morning. The raw milk bill, SB 95, was left pending, so this will be the moment of truth. We polled the Committee members today, and a majority plan to vote for the bill – if Chairman Schwertner allows it to come to a vote. Unfortunately, the hemp bill is dead. All House bills had to be scheduled for a vote by this Thursday, and the Calendars Committee did not put HB 3587 on the schedule for this week. The backyard poultry bill, SB 1620, has some renewed prospects. After passing the Senate, it spent several weeks just sitting in the House, but it has finally been assigned to the Urban Affairs Committee. Stay tuned for how to take action. One of the best water bills filed, HB 3166, was approved by the House by a vote of 134 to 8! This bill, by Representative Lucio, would require groundwater conservation districts (GCDs) to calculate how much water could be produced from aquifers on a sustainable basis (“in perpetuity”). The GCDs would then have to consider this “modeled sustainable groundwater pumping” in setting the desired future conditions. It’s a bit insane that this hasn’t been a factor before now, but better late than never. You can see how your Rep voted here. Please take a moment to say thank you if they voted yes and express your dismay if they voted no – the Reps need to know that you’re watching what they do. Another good water bill, HB 1648, has also passed the House and last night was approved by the Senate Agriculture Committee. The bill simply requires retail public water utilities to designate a person as the “water conservation coordinator,” to help ensure that water conservation plans are actually implemented. A bad bill, SB 225, was left pending in the Senate Ag Committee and appears to be likely to die (although it’s not certain yet). This bill would limit who could be involved and what issues could be raised when an individual wants to challenge a surface water permit decision by the Texas Commission on Environmental Quality. These “contested case hearings” are a vital part of citizen involvement in our water policy, and the limits threatened any meaningful opportunities. On the bad side, a “slimmed down” version of SB 1392, the horrible water omnibus bill, was approved by the Senate Agriculture Committee last night. Senators Kolkhorst and Rodriguez voted against it, and we owe them a thank you! While the amended version of the bill (called a “committee substitute”) is much less bad than the original version, there are still multiple problems with it. 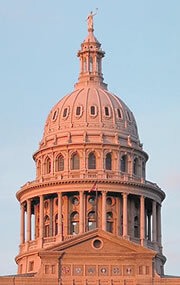 The next step will be the Senate floor, where Senator Perry needs to get a 2/3 vote to keep the bill moving. And the wild card in all of this is HB 31, the House’s version of a groundwater omnibus bill. 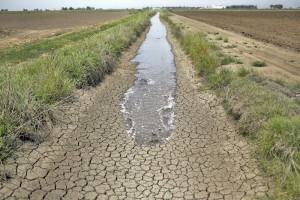 It has some provisions we don’t like in it (primarily, an automatic extension for permits to transport water out of districts), but overall it’s not too bad … however, because it covers “regulation of groundwater conservation districts,” any issue related to GCDs could become an amendment. The big threat is that provisions of SB 1392, whether the original version or the committee substitute, will become amendments to HB 31. We’ll know more as it moves forward to a Committee hearing, so stay tuned! HB 3451, which would require an independent study to be conducted before any poison is approved for killing feral hogs, has passed the House and was heard by the Senate Agriculture Committee last night. The hearing was almost amusing, in an ironic way. Never before have Agribusiness groups expressed so much admiration and confidence in the EPA. Groups like Farm Bureau and the Corn Growers opposed this bill (and supported the use of this poison that could harm hunters and other farmers) on the grounds that they were certain EPA had carefully, thoroughly vetted it before approving its use. 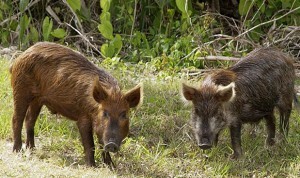 One Farm Bureau witness even argued against the bill on the grounds that feral hogs pose a problem for endangered species, so it’s vital to take action – almost certainly the first time Farm Bureau has urged that agricultural policy be set based on endangered species concerns. So what’s really going on? Several of the witnesses were blunt about it: They don’t want the state taking a role in potentially disapproving or limiting pesticide use. Once a chemical is approved by the EPA, no matter how many flaws people can point out in the approval, these groups want to be free to use that poison as they wish. The bill’s requirement for an independent study also sets a precedent that threatens their normal practice of only using data from the manufacturers as the basis for approving chemicals. The witnesses in support of the bill to limit warfarin use until the impacts can be properly researched included farmers, hunters, wildlife biologists, and veterinarians. They provided powerful testimony on how long it takes warfarin to kill hogs, the dangers it will pose to neighboring landowners who have to dispose of the carcasses, the contamination of our waterways, the poisoning of wildlife and non-target species, and the destruction of a valuable source of meat in our state. The bill was left pending. If you live in any of the Calendars Committee members’ districts, please call your Rep today to urge him or her to “tag” SB 1172 and keep it from coming to a vote. Find the list of the Calendars Committee members here. If you live close enough to Austin to get to the Capitol, the Calendars Committee members accept input from everyone through red and green forms that you can fill out in each office. Contact Judith@FarmAndRanchFreedom.org for a list & directions!